This Field Report includes information submitted by KHRG community members describing events occurring in Nyaunglebin District between January 2014 and December 2014. It describes different human rights violations and other issues important to the local community, including landmine incidents, violent abuse, mining, land conflicts and the consequences, the Baw K’Hta dam project, civilians’ concerns with current military activities, and fighting. 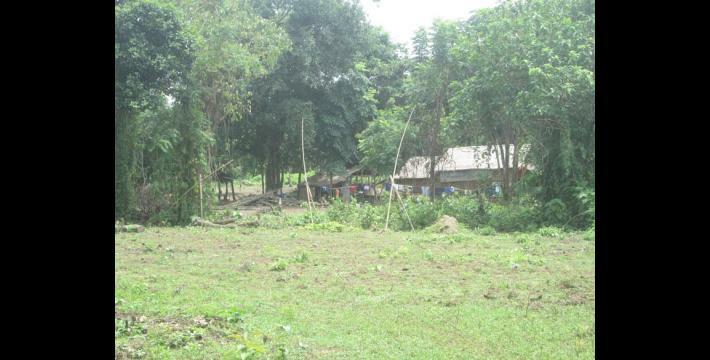 Previous and ongoing land confiscation had led to a big impact on villager’s education, healthcare and livelihood conditions as well as causing relocation in Nyaunglebin District. In response to land confiscation, in K’Moe Aaing village tract, Pat T’Lah village tract, Weh Lah Daw village tract, P’Deh village tract, Baw K’Hta village tract and Mah Pee village tract in Kyaukkyi Township, the village leaders and the KNU joined together to give five acres of land to each family to ease the villagers’ living condition and to help them with their livelihood conditions. The villagers’ concern with Tatmadaw military activities since the ceasefire is on-going as there is still violent abuse by Tatmadaw soldiers and they continue their activities of military ration transportation, operation of checkpoints and setting troops along the roads that are used by the local villagers. Landmines are still being used in Nyaunglebin District in 2014 by Karen National Liberation Army to protect themselves from Tatmadaw attacks as the Tatmadaw have not removed their soldiers from the frontline areas as Karen National Union requested. A KHRG field researcher from Moo Township stated in a Situation Update that, “The situation in Moo Township has changed after the ceasefire. People can travel easily in the plain [agricultural] areas and the mountainous areas as well, but human right abuses are ongoing. We can say that we have not seen so much that both the KNU and the Burma/Myanmar governments have improved human rights. The civilians also grumble in many ways because the ceasefire is not stable”. Nowadays, even though the villagers can travel more freely and work more comfortably because of the KNU and Myanmar government peace talks, they still have limited confidence regarding the peace process. One KHRG community member commented that the trustworthiness of the peace process from leaders on both sides is not high, and they worry that armed conflict will happen again. One of the main reasons that the villagers have limited confidence in the peace process is because the Tatmadaw continues to carry out numerous military activities in remote areas of Nyaunglebin. The preliminary ceasefire agreement signed in January 2012 has had a positive impact, leading to a reduction in attacks by the Tatmadaw, but military activity, such as the operating of checkpoints during the transportation of rations, and troop movements along roads used by villagers is still on-going in some areas. In one case, prior to the 2014 report period, Tatmadaw soldiers transported rations using four trucks with water proof canvas roofs, and two trucks carrying soldiers to Tha Boh army camp in Moo Township. 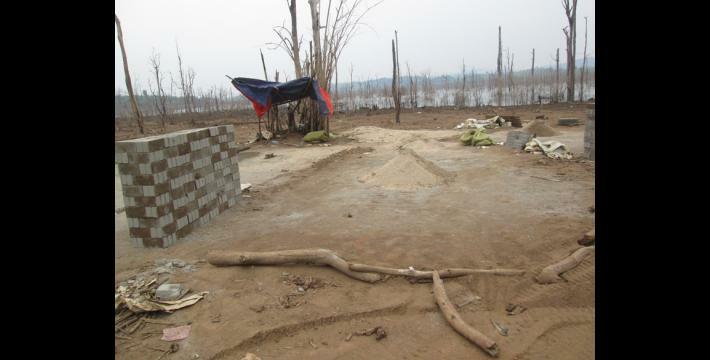 According to a KHRG community member: “They did this in order to transport them [the rations and soldiers] to Htaw Moh Pleh Meh [army] camp [in Lu Thaw Township, Hpapun District] and [this will enable them to] be active in 2014 [during the reporting period] in the upper part of Lu Thaw Township, Mutraw [Hpapun] District”. In addition, on January 20th 2014, Tatmadaw soldiers were transporting their rations to Paw Khay Hkoh, close to Htaw Moh Pleh Meh [army camp] with 20 trucks and they had soldiers waiting along the road to make sure their convoy was secured. On the same day when they were transporting their rations, villagers from A--- village, who went to Ler Doh Town for a shopping trip, returned with the things that they bought from the town. On their way back, they encountered Tatmadaw soldiers that were waiting at Koh P’La Lay Hkoh, and one of the Tatmadaw soldiers pointed a gun at the A--- villagers when he saw them. This information was reported by another villager in the group that witnessed the incident, who does not want to mention neither their name nor their village name. There was more Tatmadaw activity which started in July and August and, according to one KHRG Situation Update from October 2014, the Tatmadaw had not stopped their activities. When the Tatmadaw see people, they do not do anything to harm them. However, since they have their weapons, people are still afraid of them. According to a KHRG community member, in Ler Doh Township area, the Tatmadaw soldiers conduct many activities using their active battalions, rear battalions and support units. There are also some army camps that the Tatmadaw recently set up in Ler Doh Township such as (1) Muh Theh (2) Hkler Soe (3) Kaw Hplah Lay Hkoh (4) Maw Day Kleh Hkaw (5) Baw K’Hta (6) Ton T’dar (7) Paw Khay Hkoh (8) Nat Than Kwin and (9) Noh Ku Army camp. (1) Military base IB (Infantry Battalion - 60). The battalion commander is Zarni Aung at Than Bo place. (2) LID (Light Infantry Division #351) at Sit Hsin Kon place. The lieutenant is Ye Htut Zaw. (3) LIB (Light Infantry Battalion #599) in In To In Shay area. The lieutenant is Soe Tint Lin. (4) LIB #590. The lieutenant is Aung Than Htay in Yay Ao Sin area and the 15 army camps [in this area] are in Yay Gate, Thit Kyat Seik, Htee Toh Loh, Paw Pee Der, Myaung Oo, Kyo Pay Say, Nyaung Pin Thar, Aaw Law See, Mar Lar Daw, Ma Lwan Pon, Tha Pyay Nywunt, Hsaw Mee Loo, Htee Moo Htah, Kyaung Pyan and Aung Soe Moe army camps. In Hsaw Htee Township there are five battalions that are active in military operations which are IB (Infantry Battalion #57) Shwe Kyin, LIB (#349), LIB (# 350) Shwe Kyin, LIB (# 598) Z’Lok Gyi and LIB (# 589) Do Seik area. The 15 army camps are in K’ser Hkaw Htee, Ler Htaw Thoh, Sa Loo Chaw, Kaw La Seh, Hkoh Hpeh Hta, Meh Teh Hta, Pa Hee Soe, Thay Hkay Meh Soe, Wah Hkoh Law Teh, Ler Kyoh Khoh, Moh Kyoh Hkoh, Htee Kay Hta Ter Ther Hkoh, Paw Loh Htah, Kyaw Ku and Aye K’nee. The military activities had increased in 2014. Therefore civilians worry that armed fighting will happen. On October 1st 2014, the Tatmadaw Light Infantry Battalion #598’s battalion commander Zaw Win Niang and his soldiers came into the KNU controlled-area in Moo Township and they were warned by local KNU not to enter to carry out their activities. The Tatmadaw ignored the warning and they went across the KNU territory to reach their Battalion #8. Therefore, the Karen National Liberation Army (KNLA)/KNU headquarters from Nyaunglebin district gave a warning shot to Battalion #598. This frightened the villagers and made them lose their faith in the peace process as they experienced ongoing military confrontations. Many villagers are not aware of how they can own their property and secure their land rights. The Burma/Myanmar government formed many levels of land management at the village head level in village tract areas but these levels are still not helpful for the villagers as they have not raised awareness about the land confiscation or land ownership. In Ler Doh Township, the villagers had to flee to several places and had to leave many lands and their villages during the conflict time and the lands that they inherited from their parents was sold to the wealthy individuals by the government as it was considered uncultivated land. Therefore, it has become difficult for the local villagers to do their livelihood. 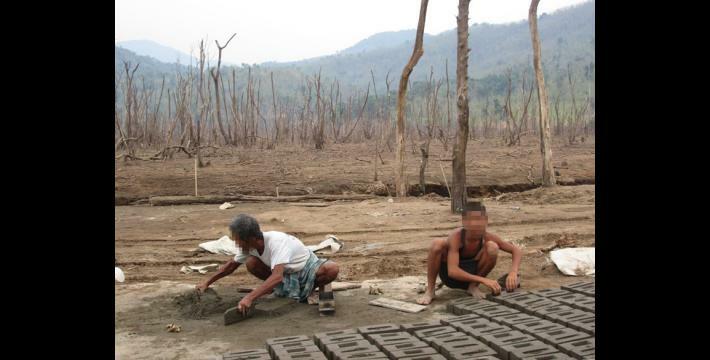 The villagers’ lands in some areas of Nyaunglebin District are being sold to wealthy individuals under the Burma/Myanmar government’s permission, for business activity. For example, according to one KHRG field researcher in Ler Doh Township, “In Ler Doh [Kyaukkyi] Township, U Htar Nar Hsway Win (member of Kyaukkyi State Parliament) applied for permission to be able to set up a 200 acre rubber plantation and his application was accepted in 2014”. 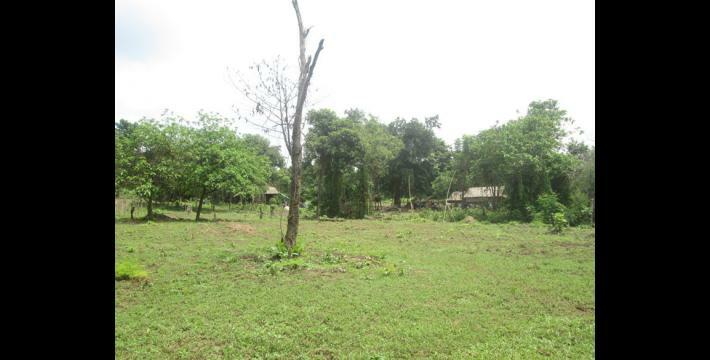 Likewise, U Tin Htun (Shwegyin State parliament) [also applied for] 200 acres along Shwegyin – Kyaukkyi roadside. This place belongs to the B--- villagers, C--- villagers and D--- villagers and the villagers use this land for their livelihoods. KNU [Karen National Union] did not give permission to [U Tin Htun] to use the land so he cannot do anything yet. Cases of land confiscation reported in 2014 included villagers’ asking for the return of their lands which had been confiscated in previous years. For example, in 1999, the Tatmadaw government forcibly relocated many villagers from an unknown area to Noh Koo pasture and they named the new land Yan Myo Aung village. As there was no action taken against the perpetrators who confiscated the original land, Noh Koo villagers have now started asking for the return of their lands. Regarding this case, it has already been reported to the national parliament and other relevant authorities, yet there has been no response to the villagers’ request at the time of reporting. In Nyaunglebin District, Moo Township, landmines are still being used in 2014 by the KNLA to protect themselves from Tatmadaw attacks. The Tatmadaw were requested by the KNU to withdraw their troops from their frontline. There is a ceasefire between the KNU and the Burma/Myanmar government but they still do not have complete trust in the ceasefire. As the KNLA uses landmines in this way to protect themselves, the villagers step on landmines while they travel resulting in injury, disability or death. Landmines cause a big problem for the villagers to travel around and they are frightened about finding vegetables, cutting wood and collecting wood in forest areas. Therefore, one KHRG community member mentioned that although the human rights situation has improved after the ceasefire, human right abuses and concerns are still ongoing in this district. Furthermore, one KHRG community member also has reported that there are 29 people in Moo Township who have stepped on landmines since the 2012 ceasefire. However, the KHRG community member also reported that landmines are one of the things that local people use for maintaining the forest against deforestation and protecting themselves from potential attack by placing landmines around their own village. 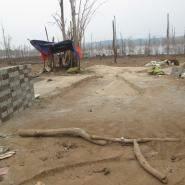 Two villagers from L--- village were affected by landmines. Saw M--- stepped on a landmine on March 22nd 2014 at Htoh Kyah Kyi place. Another villager named Saw N--- also stepped on a landmine at Htoh Kyah Kyi on an unknown date and died immediately after the landmine accident. Three villagers stepped on a landmine on April 3rd 2014 at Theh Phyu Chaw place. One villager died from the accident. Two villagers stepped on a landmine on April 5th 2014 at Paw Pi Der place. One villager died from the injury and the other villager sustained injuries. A villager from O--- village stepped on a landmine on April 10th 2014. A P--- villager stepped on a landmine at Kyoh Hkay place on May 28th 2014. In Ler Doh Township, Nyaunglebin district, there is a clinic that was recently built by Burma/Myanmar Boundary Minister U That Tun but there is an insufficient medicine supply in the clinic, with certain types of medicines not available at all. The villagers were also told that this new clinic will benefit the villagers’ health. Sometimes when the villagers are sick, they sell their produce from their farm such as dog fruits and cardamom and save the money for buying medicines that they cannot get from the clinic. In Saw Hka Der village tract, Moo Township, it is poor regarding education. The Tatmadaw used to be active in carrying out the military activities for more than ten years before the reporting period and the villagers were displaced to different places. Consequently they could not set up a permanent school. The children were not able to study due to the displacement. But in 2013, church members and students from S--- village established a primary school by promising to provide 250,000 kyats [US $212.19] and ten big tins of rice to the school teachers each year. At that time there were 25 students and two female teachers. The school is self-reliant and KED [Karen Education Department] supports the school but it is not enough funding. 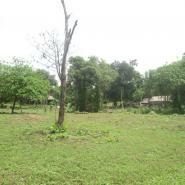 The students will have to move to other places when they complete the school in the village. Some students in the village moved to Thailand to a refugee camp to continue their education, some students have to drop out of school after they finish at the primary school in the village to help their parents with general work and some students move to other places to continue their education. But for those who move to other places to continue their education, they have to stay away from their parents and their parents cannot take care of them closely; their parents have concerns about their children becoming bad people as they might be prone to bad influence from people in town and cities. In information received by KHRG, on October 5th 2014 20 Tatmadaw soldiers from Light Infantry Battalion [LIB] #759 entered onto villagers’ paddy fields in U--- village, Hkeh Der village tract in Ler Doh Township area. According to the agreement between the KNU and Tatmadaw, the area has been prohibited from trespassing. The territory is under the control of KNLA Company #3 which is under the control of KNLA Battalion #8. LIB #759 were warned by the KNLA but that did not stop them coming into the area. Later on that day, the KNLA soldiers attacked the Tatmadaw soldiers. Likewise, Tatmadaw Light Infantry Battalion #361 under the control of Military Operations Command #10 entered the KNU territory area which is 3,000 yards [2.7 kilometers] away from the road. On the same day, the Karen National Defense Organisation [KNDO] went there to check out the situation. However, they were attacked by the Tatmadaw on the way. As a result, one KNDO soldier died and one was injured during the fight. The villagers also have concerns with military activities in their area even though the ceasefire has been signed between the fighting groups. In Moo Township, restriction on freedom of movement is still ongoing in some places as there is no certainty with the ceasefire between KNU-KNLA soldiers and Tatmadaw soldiers. According to a Situation Update from a KHRG community member from Moo Township, on July 13th 2014, a Tatmadaw Sergeant Myo Naing Htun and his two soldiers from Light Infantry Battalion #590 encountered villager Saw V--- who is 37 years old from W--- village. Saw V--- was on his way back from his paddy field to get some of his friends to help him with his work in the field. On his way, near the monastery on the road in AB--- village, he encountered the Tatmadaw soldiers. They called to him and said that he was travelling in the night time. They arrested him for travelling at night time and violently abused him. As a result, Saw V--- was severely injured from the violent abuse. KHRG also received a phone call from a community member from Moo Township on October 21st 2014, saying that a woman was found dead on October 12th 2014 at night time in a field. The incident place is about six furlong away from Zee Gone Village and it was in a field owned by Saw Y--- who is from Z--- Village. The victim’s name is Sandar Win and her father’s name is Saw X---. They are from AA--- village in Moo Township, Nyaunglebin District. She was found with bruises on her neck and according to local people, it was likely she was choked to death. There was no clarification of who was the murderer and a police investigation had begun. In Ler Doh Township, in Baw K’Hta River area, there has been a Burma/Myanmar government plan for dam construction for a long time but it has always been forbidden by the KNU. But nowadays as the KNU has started peace talks with the Burma/Myanmar government, the Burma/Myanmar government has scheduled to build the dam at Baw K’Hta River. On October 18th 2014, there was a community meeting about the Baw K’Hta hydroelectric dam project held in Hkoh Poe area, Ler Doh Township. The program was held as a discussion with community based organisations (CBOs) and civil society organisations (CSOs) on whether the dam should be built or not. The villagers brought up many questions and their ideas about the dam during the discussion and the responsible persons failed to answer all the questions from the villagers. In this meeting, there were over twenty villages’ representatives and community religious leaders who participated. There were over two hundred people altogether including foreign country representatives: Norwegian Embassy representative (Mattal), MPSI (Myanmar Peace Support Initiative) representative (Ashley), other Norway professionals, and KNU (Karen National Union) representatives from Thaton and Nyaunglebin districts. KNU headquarter leader Pa Doh Saw Tah Doh Moo led the program and held the meeting. One KHRG community member mentioned that the representatives from Norway who came to get information about the dam were not the people who are going to carry out the dam construction plan, they were coming just to question in order to examine and confirm whether the dam should be constructed or not. They came to meet directly with local people and establish the laws or rules together with local civilians for the dam construction. During the meeting, Pa Doh Saw Tah Doh Moo from KNU stated that, “The person who comes and supports the dam construction has to listen to the local voice and follow the rules of the community”. In Hsaw Htee Township area, Nyaunglebin District, there are problems with river pollution from mining that has been on-going for two or three years. According to the KHRG community member in Hsaw Htee Township area, the people who are in charge of mining in the area cooperate with the KNLA and KNU and the community members also mentioned that there has been no big collective action by the local villagers to stop the mining operation in the area. It has been unclear or unknown for villagers what KNU and KNLA have planned in order to solve the pollution problem that is happening between the mining operation and the local villagers. However, the local villagers have seen that the mining machines and materials that are used for mining in the area have decreased but the rivers and the streams near the mining operation area are still being polluted as an ongoing consequence of the mining. The above information was collected in Hsaw Htee Township, Ler Doh Township and Moo Township, in Nyaunglebin District between the period of January and December 2014. As Burma/Myanmar is opening up gradually, the country government has started doing development projects such as building new schools or repairing existing schools, building clinics, constructing roads and other projects throughout the country. With the situations mentioned in this Field Report, there are still human rights violations such as restrictions on villagers’ with their right to access healthcare, right to education and their freedom of movement. In addition, with Burma/Myanmar government activities in Nyaunglebin area such as land confiscation for military purpose in the past, the confiscated lands are still controlled by the Tatmadaw. This is one of the main things that severely impacts on the villager’s livelihood in Nyaunglebin District. Finally, there have notable changes since the ceasefire between the KNU and the Burma/Myanmar government such as stopping attacks in remote areas in Nyaunglebin District and decreasing the operation of the checkpoints during the transportation of the rations for the military but many of the villagers still have concerns with the ceasefire based of what they have seen or experienced since the ceasefire in 2012 until the end of 2014. See “Nyaunglebin Situation Update: Mone Township, November 2013 to January 2014,” KHRG, July 2014. This information was included in an unpublished situation update from Nyaunglebin District received by KHRG in October 2014. This information was included in an unpublished situation update from Nyaunglebin District received by KHRG in July 2014. 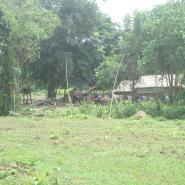 See “Nyaunglebin Situation Update: Mone Township, November 2013 to January 2014”, KHRG, July 2014. This information was included in an unpublished situation update from Nyaunglebin District received by KHRG in December 2014. This information was included in an unpublished situation update from Thaton District received by KHRG in October 2014. Infantry Battalion (IB) (Tatmadaw) comprises 500 soldiers. However, most Infantry Battalions in the Tatmadaw are under-strength with less than 200 soldiers. Primarily purposed for garrison duty but sometimes used in offensive operations. See “Nyaunglebin Situation Update: Kyaukkyi, Mone and Shwegyin townships, October to November 2014”, KHRG, September 2015. This information was included in an unpublished situation update from Nyaunglebin District received by KHRG in October, July 2014. See “Nyaunglebin Situation Update: Shwegyin Township, March to June 2014”, KHRG, January 2015. 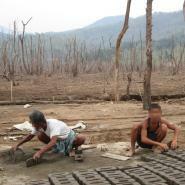 See “Nyaunglebin Situation Update: Kyaukkyi Township, July 2014,” KHRG, October 2014. All conversion estimates for the kyat in this report are based on the July 15th 2016 official market rate of 1178 kyats to US $1. It is likely that this village school runs from Standards 1 to 4 which are the typical standards (grades) for primary schools in KED areas. This information was included in an unpublished short update from Nyaunglebin District received by KHRG in October 2014. Whilst sometimes curfews have been imposed on villagers by Tatmadaw which restrict them from travelling at night time, a curfew was not officially reported at this time in this area. The reason for the restrictions on the villager against travelling at night time in this incident are not clear. A furlong is a unit of distance equivalent to 0.2 km or 0.125 miles. Pa Doh is a S’gaw Karen title meaning governor. See “Nyaunglebin Situation Update: Shwegyin Township, March to June 2014,” KHRG, January 2015.